As the ‘seventies dawned, there was a revolution about to start in Australian Unlimited class racing, thanks to the tidal wave of new machinery from Honda, the BSA/Triumph triples, Kawasaki two strokes and so on. But in the preceding few years, the Unlimited class was still the domain of the home-brewed special, more often than not, Triumph powered. One such machine scored an amazing pair of Australian TT wins, just months apart, ridden in spectacular fashion by a little man with a big, big heart – Kenny Blake. The bike was known universally as the Jesser Triumph, and in fact it wasn’t the only such bike, but one of four. 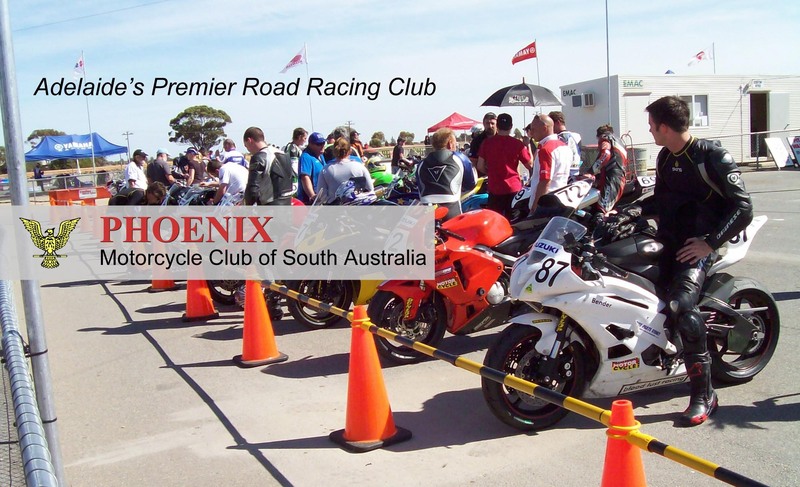 Blake’s contemporary and fellow Adelaide Phoenix club member Ivan ‘Snowy’ Ardill had another that he raced quite successfully, and these two bikes were originally developed in tandem, as and when funds would allow and parts became available. This story really starts about five years earlier, when Kenny Blake was a struggling apprentice panel beater at Strathalbyn in the Adelaide Hills. In an interview with Kathy Gates for the long-gone Revs Motorcycle News, Ken tells of his early days. Following Ken’s auspicious debut at Mallala, the Triumph was gradually modified. Ken was a panel beater by trade and admitted to having few mechanical skills, so in 1967 he was happy to have Les and Dean Jesser take on more of the preparation. Les learned his trade as a mechanic at J.N. Taylor in Adelaide, mainly working on BSAs, before opening his own tuning business. Later, his younger brother Deane joined him, and their shop became a hub for the young, fast men of the district. The 1967 season produced promising results, including a third place in the South Australian TT in June and second in the SA GP in October, both at Mallala. As 1968 came around, Ken and the Jesser Triumph, as it was now known, were ready for bigger things. He finally achieved the top step of the podium in the SA Unlimited GP, and followed this up by winning the prestigious Tom Phillis Memorial at Winton on one of his first trips to Victoria. Venturing further afield, he picked up a win at Oran Park in the Unlimited B Grade after both John Warrian and Eric Debenham fell off. Then it was on to Bathurst, but it was a short-lived experience when the primary chain broke during practice, doing sufficient damage to keep him out of the meeting itself. Worse was to come. At MacNamara Park, Mount Gambier, Blake and Horsman tangled and the Triumph ended up on its side, revving mightily until the plug leads could be pulled off. The bike was quickly repaired but the internal damage was lurking, undetected. One week later at Mallala for a private practice session, an over-stressed conrod let go at top speed and Ken was flung down the road. The engine was wrecked, and he was lucky to escape with bruises and abrasions. It took time and scarce capital before the Jesser Triumph was mobile again. The year ended in further misery after a minor step-off at Mt Gambier left him with a broken wrist. – an injury that kept him out of the early events – including Bathurst – in 1969. No sooner was he back on the track when the Triumph spat a big end bolt out the crankcase. By this stage Ken had bought another Bonneville to use on the road, but that too was soon cannibalised for parts. The Triumph seemed to gain a new degree of reliability after the latest rebuild, and Ken once again took out the SA Unlimited GP, followed by the Harvey Wiltshire Memorial at Calder. In May 1969 it was time to tackle the biggest project yet – the Australian TT – which for that year was allocated to the new Surfers Paradise raceway in Queensland. Prior to this, Blake and Ardill took the Triumphs to Hume Weir in February and ran 1-2 in the 15 lap Feature race for some time, before Ron Toombs blasted by to win from Blake. But both had shown excellent speed and reliability and it augured well for the all-important TT. It was a long haul to Queensland for Ken, mechanic Glen Rose and a small bunch of supporters from Adelaide, but it was well worth it. Local star John Warrian with his Triumph-engined Transac, built by sidecar star Brian Payne, were the favourites at their home track, but there was also Ron Toombs on the Tony Henderson-prepared G50 Matchless special, and Bathurst winner Jack Ahearn on Brian Coomber’s quick Triumph to contend with. In the Unlimited TT, both Toombs and Ahearn got away badly from the push start, and Peter Jones cheekily pushed his TR250 Suzuki into third place as Warrian and Blake disputed the lead. At the chequered flag, the victory – the first of his eight Australian titles – was Blake’s by a wheel. Ken’s former ride-to-work transport had lifted the biggest title Australian road racing had to offer, but in this state of tune the machine was on the ragged edge. Rebuilds to fit new rings, valves and valve springs were required after every meeting, with major components such as pistons and cranks lasting little longer. Just seven months after Surfers, the 1970 Australian TT was scheduled for Phillip Island on 4rd January, 1970 where Ken once again fronted on the Triumph, with its special nitro/toluene/methanol diet in the tank. This time, there was no close dice – Ken simply disappeared, leaving favourites Ron Toombs and Bryan Hindle, on their TR3 Yamahas, in his wake. There is little room for sentiment at the pointy end of motor sport, and following the Phillip Island victory, the Triumph was parked in the Jesser workshops and remained there while Ken packed his bags to take up his position with the Ron Angel Kawasaki squad. “I moved to Melbourne and moved in with Ron and his wife until I could find a suitable flat. I was there for two years!” Ken said. A fairy-tale Unlimited GP victory and a new lap record followed on the H1R at Bathurst, but soon after the Kawasaki seized at Hume Weir and the resultant crash left him with two crushed vertebrae and head injuries that kept him out of action for many months. Unable to work because of these injuries and blurred vision, arrangements were made to flog the Triumph. Following Phillip Island, the engine had been rebuilt to a milder, and hopefully more durable state of tune, and Glen Rose decided to buy the bike “as Kenny needed the money and I wanted to keep it in Adelaide.” Glen rode it in several local meetings over the next couple of years before selling it to a local motorcycle shop. It was then 0n-sold to an unknown buyer in Melbourne and campaigned without notable success until around 1975. Deane Jesser had never got over the loss of the motorcycle that carried so much of his, and brother Les’ input, and resolved to get it back somehow, which he did in 1982. When Kenny was killed at the Isle of Man TT in 1981 another link to the story passed as well. Ivan Ardill’s sister bike was sold to Whyalla, where it was registered and ridden on the road until the engine blew up. Les Jesser passed away in 1985, and Deane in 1993. Prior to his death, Deane and the younger of the Jesser brothers, Bob, and his sisters made arrangements for the Jesser Triumph to be displayed at the National Motor Museum at Birdwood in South Australia. It sat there for many years, with little in the way of information to let visitors know just what this remarkable motorcycle had achieved. In 2011, the family accepted an offer from Motorcycling Australia to purchase the Jesser Triumph, and it returned to the track for the first time in three decades at the 2013 Broadford Bonanza, with myself in the saddle. To be fair, the engine had been rebuilt in 650cc form with reliability, rather than outright performance, in mind, and to me it seemed a user-friendly, almost vice-free machine that did almost everything right. I say almost vice-free because, just as in John Lord’s experience many years before, the gearbox was less than perfect. Changing into third on Broadford’s top straight, with the scenery rushing past nicely, the Triumph would drop into a false neutral between third and fourth. At first I though it was me making clumsy gear changes, so I took it carefully from there on, but the problem persisted. A shame really, because otherwise it was an extremely pleasant bike to ride. The double-sided Fontana front brake did its work efficiently, and the engine had plenty of poke without being vicious. Handling has never been a strong suit for such Triumph chassis, but this one tracked perfectly, due, as I discovered, to some careful bracing and strengthening in strategic areas, and mods to the steering head to reduce the rake to 27 degrees. The frame has been gusseted around the shock mounts and in the swinging arm pivot (the swinging arm was always a problem, according to Ivan Ardill), and the rear brake plate changed to full-floater mounting. Evidence of the quest for lightness is everywhere; even bolts have been reduced in size from 5/16” to 1/4”and from 3/8” to 5/16”. Early in 2014, with the gearbox sporting some new internals, it was time for me to try again, but it was a case of history repeating itself. Mirroring the incident at Mallala in 1969, a big end bolt decided to migrate from its home, punching a two-bob piece sized hole in the crankcase before I could complete two laps. It was a sad occurrence, but there is always such a risk present with old racers, no matter how gingerly you take it. So for the moment, the Jesser Triumph sits in a workshop, sans engine, while a comprehensive rebuild takes place. Hopefully, once it is all back together again, the grand old warrior will be ready for demonstrations in peace and harmony for many years to come. 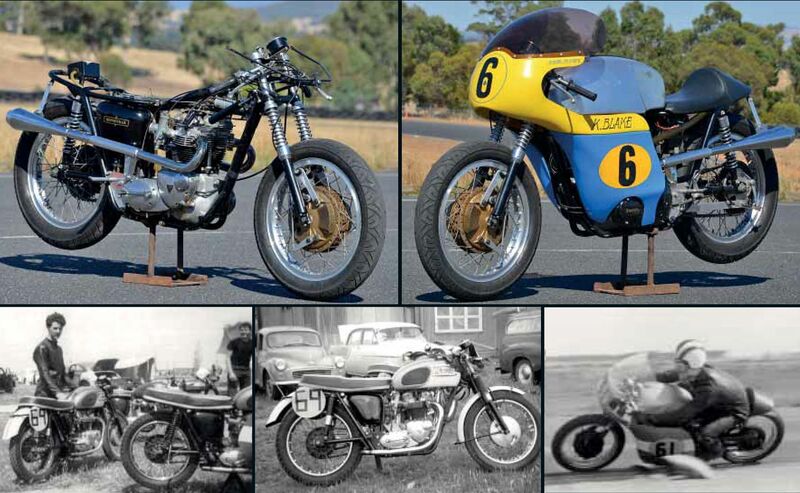 As a piece of Australian racing history, they don’t come any more highly credentialed than the ’64 Bonnie that once carried Kenny Blake through the Adelaide hills at great velocity and on to a pair of Australian championships.